These Edge-Lit Restaurant Signs are Available from an Online Seller Providing Excellent Customer Service. Thousands of Display Options are stocked in this Warehouse. Edge-Lit Restaurant Signs Ship Quickly. The following edge-lit restaurant signs, such as acrylic light boards, can be hung into a windowpane. This merchandise clings straight onto a window when using the supplied hardware. 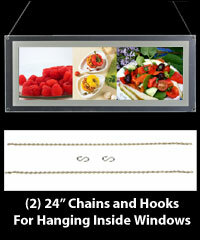 Users can fasten this item to a windowpane utilizing the vinyl cup system, or hangs up by using a chain. Both sorts of equipment are enclosed, along with screw and standoff pieces for surface mounting. 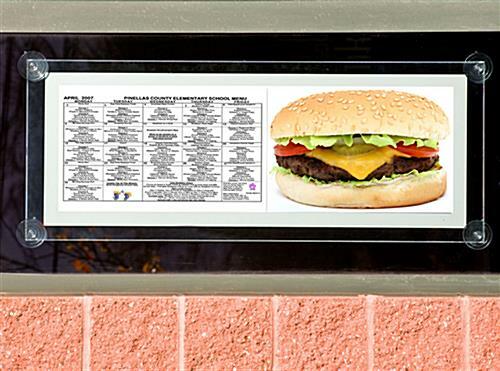 The edge-lit restaurant signs which will hang up by chains can be exhibited vertically or width wise. Regardless what system is utilized for displaying this signage, these LIGHT EMITTING DIODE bill of fare holders allow for a straightforward interchange of signage. Unscrew the four corner stand offs and a posting slips right in the holder. These edge-lit restaurant signs that are 1-1 8" have a skinny profile, permitting them to fit when a lot of light boxes can not. This characteristic also makes it so this light up bill of fare holder does not jut out to far, and become obtrusive. The electrical switch is handily situated on the power cord, so turning the unit off and on is simple. 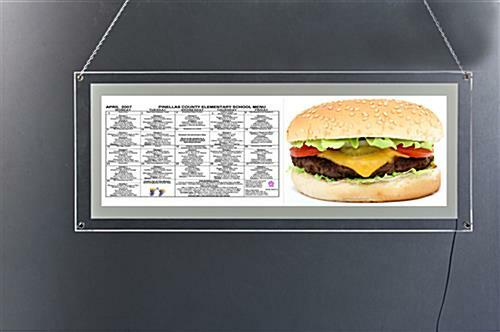 The prominent edge-lit restaurant signs can exhibit two 11" x 17" pieces of paper. 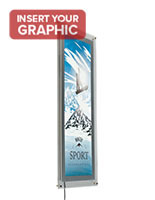 Printing a costly custom banner is not essential for this acrylic posting display. These bill of fare light boards, edge-lit restaurant signs can contain a big sized bill of fare to exhibit directly into a windowpane. Each one of edge-lit restaurant signs light up signage utilizing LIGHT EMITTING DIODE technology. The device economizes electrical power since these bill of fare holders run using less power than illumined boards using an older style lightbulb. This technology likewise keeps the merchandise from getting excessively hot. These edge-lit restaurant signs that have a panel of LIGHT EMITTING DIODE lights brilliantly illumine any posting or signage customers wish to exhibit. People will at once detect this bill of fare holder when it is dark outside. The acrylic edge-lit restaurant signs have a visibleness that is unexcelled by conventional signboard frames because of the illumination. These edge-lit restaurant signs that are intended for signage have a versatility that a carved wood display or neon boards simply do not have. 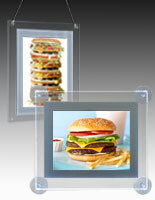 The other frames, sold by competitors, do not have as many mounting choices. A pre existent posting can be used to exhibit in these bill of fare holders, or customers can have one custom printed. These edge-lit restaurant signs are helpful in hanging posters for shops and stores.